It is 1970, a June afternoon in Phoenix, about 105 degrees. My mother pulls into a dusty parking lot where cars and church vans are dropping off little kids with scruffy suitcases and sleeping bags. At $20 a subsidized head, I am surrounded by other kids like me whose parents can’t afford to send them to a regular summer camp. We are headed for Camp Good News where the price we will pay for ordinary camp activities is a routine of daily Bible studies and altar calls. 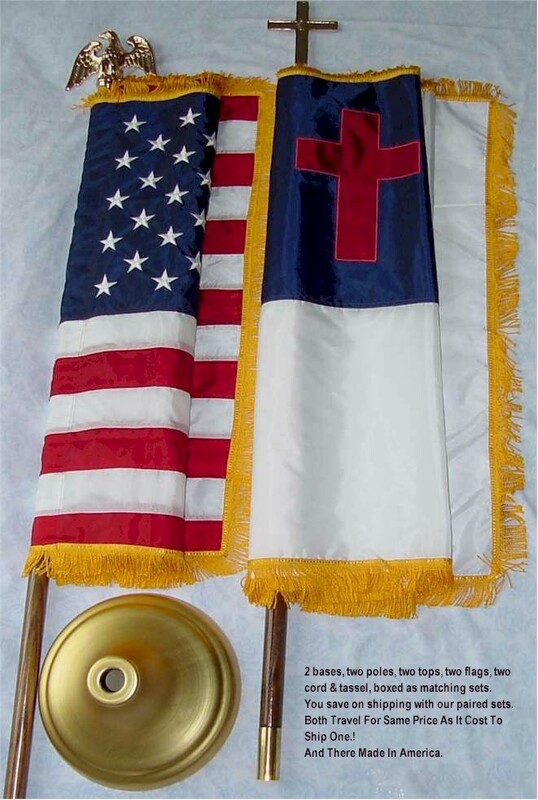 In the morning we will pledge allegiance to the Christian flag and “to the Savior for whose kingdom it stands.” We will be kept up late watching movies of modern martyrs and missionaries. And, sleep deprived and far from our parents, we will be subjected to repeated urgings to confess our sins before it’s too late. As weeping children move forward down the aisle and are lead away by counselors who can guide them through the sinner’s prayer, the rest of us will sing. What can wash away my sin? Nothing but the blood of Jesus. What can make me whole again? Nothing but the blood of Jesus. Child Evangelism Fellowship, the parent organization that ran and owned the camp, is a fundamentalist Christian organization that views children as a market for religious recruiting. With a presence in over 170 countries and the support of 40,000 volunteers in the U.S. and Canada, CEF claims to reach 10 million kids a year. CEF often pursues kids that are vulnerable in some way—impoverished perhaps, with parents who can’t provide the resources or attention they would wish. My camp-mates in Prescott were drawn primarily from the inner city, and the CEF website currently encourages outreach to foster parents and state family service agencies. But their work in North America has now penetrated middle class communities in all fifty states, largely through expansion of afterschool programs called Good News Clubs. Since the 1990’s they have been driving to establish Good News Clubs at public elementary schools and encouraging churches to “adopt” local schools. Sunday school, Vacation Bible School, and summer camps don’t provide sufficient access to the most desired targets of their conversion activities: grade school children whose parents and religious communities aren’t Christian fundamentalists. In 2001, a Supreme Court decision, Good News Club v Milford Central School forced public elementary schools to open their doors to after school clubs run by Child Evangelism Fellowship. Alito and the majority accepted the argument that the Good News Clubs weren’t really teaching religion—they were teaching character, in other words morals, from a religious point of view. Last week investigative journalist Kathryn Stewart exposed the fact that those “morals” include biblical justification of genocide. In actual fact, Child Evangelism Fellowship is not in the business of teaching morals. It is an Evangelical organization with a core belief that no amount of morals will get you into heaven. In their fundamentalist theology, all children are born sinful and slated for eternal torture. Only the divine human sacrifice of Jesus and being “born-again” can save them from this fate. To funders and volunteers, Child Evangelism fellowship is very clear about mission: “CEF is a Bible-centered, worldwide organization composed of born-again believers whose purpose is to evangelize boys and girls with the Gospel of the Lord Jesus Christ, disciple them in the Word of God and establish them in a Bible-believing church for Christian living.” Your child is their mission field. Since the 2001 court decision forced open the door, CEF has established after school clubs on over 3200 public elementary schools across the country. Their website trumpeted the opportunity: The Gospel has been taught freely in public schools all over the world for some time. Now children in the U.S. have that opportunity, too! Children can’t participate in Good News Clubs, without written parental permission, and some fundamentalist parents like the idea of their children receiving religious instruction at school. But say you’re not one of them. Say, also, that you’d rather not have other kids in your son’s first grade class telling your kid he’s going to hell – because that’s what they got taught at school. What can you do? One passionate adult can make a difference! In 2009-2010, a north Seattle parent, John Lederer had a rude awakening. The leader of the Good News Club began volunteering in a kindergarten classroom four days per week. This person, who didn’t have a child in the school, who was leading the Good News Club on Fridays, was present in the kindergarten classroom, presumably so she could identify students who she might be able to recruit and build relationships with them. A kindergartener can’t tell the difference between a teacher and a volunteer. Both are authority figures who they implicitly trust. In the end, this issue may need to be re-litigated. Someone will have to demonstrate that CEF does not abide by core assertions and assumptions of the Milford case and, in fact, is unable to do so because that would violate their mission. But in the meantime, there are steps that school districts, administrators and parents can take to minimize the harm done. Learn more so you are able to educate other parents about CEF’s beliefs and strategy for courting children. Read CEF’s statement of faith and Katherine Stewart’s book, The Good News Club. Stewart’s investigative journalism took her deep inside the organization. Don’t be intimidated by the Child Evangelism Fellowship (CEF) and its legal partners. Review the CEF curriculum. This allows parents who may be thinking of participating in the CEF’s activity to make an informed decision about whether the program comprises the initial religious and moral indoctrination they want for their children. Review and understand those school district policies and procedures that can help ensure that CEF’s religious activities are separated from the school administration, operations, and instructional program. If necessary, push for revision of those policies and procedures. Take the time to sit in on a club meeting or two. Document any concerns you want to discuss with school officials. Head off faith-based bullying in your school. If your child’s school has an anti-bullying program, make sure it covers religious bullying. If not, create an anti-bullying program. Be watchful and ensure that students are not subjected to pressure or harassment with regard to their religious beliefs and practices while at school. Report incidents to the school administration. Try to convince other parents that while CEF may have a legal right to rent space at a public elementary school, their activity is best suited for a neighborhood church or similar location. Offer to assist CEF in moving their activity to a nearby location. Speak up and make your concerns known to other parents, school staff, and CEF leadership. What can the school district do about this? Establish policies prohibiting participation by teachers, volunteers and staff in the CEF activity at the same school where they work. Educate school staff and volunteers about policies that prevent them, when on the job, from speaking or acting in a manner that can be easily perceived as promoting or endorsing religious instruction or practice. Prohibit CEF from using school and PTA communication vehicles to promote their activity, or from sponsoring school activities. Enforce student anti-harassment policies that protect students from aggressive proselytizing. Assure that the CEF, as a religious organization, will pay for the use of the space it occupies and that Good News Club meetings occur well after the end of the school day. Obtain a written commitment that interested parents will have access to the CEF curriculum for inspection and that their meetings will be open to all students and parents. What can concerned citizens do about this? Reach out to your local chapter of American United to find out about CEF activity in your community’s elementary schools. Open up conversations in your community about religious recruiting of children. Support and volunteer for non-sectarian after school activities for children in your community. Throw your weight behind Americans United or the ACLU or another church-state watchdog and support them in whatever way you can. As they teach kids as young as six or seven about original sin and blood atonement and divinely sanctioned genocide, CEF staff and volunteers believe they are on a mission from God. They are well financed and have a seasoned team of legal advocates at their disposal. Any community that doesn’t stand up for its children can expect to have fundamentalist recruiters in its public grade schools. 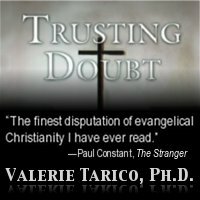 Gallery | This entry was posted in Christianity in the Public Square, Musings & Rants: Christianity and tagged born-again, CEF vs. Milford, Child Evangelism Fellowship, Christian fundamentalism, Good News Clubs, religious abuse, religious recruiting. Bookmark the permalink. 18 Responses to Don’t Want Pro-Genocide Bible Lessons in Your Public School? Fight Back! Here’s How. It appears the Loyal Heights parents have provided excellent guidance for other schools who run into this raid by the CEF. It makes me think there is no safe place for young children against organizations like CEF. The same thing applies to Church Sunday schools. They make it easy for kids to have a good time, and then they listen to some indoctrination for a short while. They keep repeating this week after week, and pretty soon they have another convert. Indoctrination works as millions of adults can verify who have been through this training program. I feel sorry for those who go through their entire life not knowing what the truth is. Yes, thanks for that. When I was a Christian, I was involved with the ‘good news club’. This was before 2001 (court decision) and we would actually take kids out during the middle of their day – with parent consent forms. The ‘mission’ was clear: lead children to Christ. We sang songs and had challenge-messages each week. Looking back, I sometimes wonder what happened with those kids, some of whom I was friends with. And I wonder if the influence I had with them stuck, or, like me, perhaps they escaped. Hard to believe now that this kind of thing is legal. Sounds like what fundamentalists say when their kids get taught at school that homosexuality is natural. I guess they have no problem with schools interfering with the parent/child relationship as long as it’s their morality. The self righteous will always claim unfair persecution, war on christmas, etc if they dont have the freedom to spread their net far and wide. They are also adamant about denying you the freedom to disagree. Stand up and be counted in your city whenever possible to push the religions of hate and enslavement back into the hole hey are trying to climb out of. Thank you for this important information. Additional vigilance and action on these matters will continue to be ever more necessary. You wrote a brilliant piece. Another potential angle of attack is to encourage schools to adopt policies that bar groups that denigrate, demean, or humiliate the children that are a part of them. As I illustrate in the following Youtube mini-documentary — http://youtu.be/EXm0ROJlL1c — the Good News Club would fail this test. Incidentally, I am an ex-Christian and former ADF attorney. I was indoctrinated by GNC materials as a child, and as an attorney, I donated hundreds of hours on three different “Good News Club” cases. After adopting a child, I began reviewing the content of the GNC materials. I hope that you will continue bringing attention to the psychologically harmful severity of their teachings. Wow, Eric. I just watched the mini-video you pulled together. The content analysis is utterly horrifying. Someone needs to turn your research into a Jesus Camp type documentary. That’s part of the reason I put that video together. There is ample material — more than what my video could cover — for a documentary. CEF is not a fringe evangelical organization. It was formed with the concerted efforts of leaders of major Bible colleges. CEF continues to enjoy broad-based evangelical support, including letterhead endorsements from the leadership of the SBC and EFCA denominations. The AWANAs, which has an even deeper reach within US churches than CEF, adopted CEF’s Wordless Book and Flipper Flapper, and has a turn-or-burn message almost identical to CEF’s. CEF epitomizes mainstream evangelical Christianity, where hell is for children and grace is for their parents. I know nothing about CEF, but I certainly know a one-sided, slanted piece when I read it. The volunteer wasn’t simply trying to help at a local school which probably had kids that were in her program – she was clearly “targeting children”. Good grief. I am sorry that some of you have had bad experiences within the church community and apologize on behalf of my fellow Christians, but as a Sunday school teacher at a “fundamentalist” church; I can assure that the majority of fundamentalists don’t think 6 yr old kids have anything to be forgiven for – you might have missed the fact that fundamentalists don’t baptize babies or small children. I can also assure you that every class I have ever taught stresses the importance of loving everyone and to never judge others. I certainly encourage the children to invite their friends, but we’d have a very long chat if they ever told another child that they were going to hell. I don’t expect to change your views with this letter, but I do want to make clear that there are churches out there that teach the Christ’s love – even fundamentalists ones. With Christ’s love, be blessed. Yes it is most certainly a one sided piece, and I tell it to reveal a side that is morally disturbing and rarely considered by many Christians of the sort I once was. CEF doesn’t simply seek to minister to the needs of children. Their missional focus is conversion. It is based on the belief that the best thing they can do for children is to convince them that they are sinners, doomed to hell without the atoning sacrifice of Jesus Christ. In this version of Christianity, God’s capacity to forgive is equated with a need for blood sacrifice. As you may know, it is a version of Christianity that traces its lineage back through the animal sacrifice of the early Hebrews to the human sacrifice of the proto-Hebrews and Semitic tribes from which they emerged. I have in my desk a little toy that CEF gives children to illustrate this story. You seem to think these types of groups are evil and therefore we should all do what we can to stop them. To head off misunderstanding or distortion please make special note of the following: I don’t disagree. However, the context of the link I took to get here, and the headline of this article, imply I’m going to find out how exactly these groups are teaching genocide, an extremely disturbing notion I was determined to find out more about. It’s a claim I was reserving judgment on: not ready to dismiss, having read enough history and news to know it’s entirely possible, but not ready to believe it without evidence or assume it’s true and move on without reading. Not a word about that claim is included except to repeat the unsupported assertion a couple of times more. Are you guilty of the same sort of alarmist and deceptive practices you’re condemning in order to lure people into a “community”? They do teach genocide. Check out Intrinsic Dignity’s video above, and http://www.goodnewsclubs.info . Shame on you for sending me on a walk through the slime pit of offensive idiocy, omniphobia and hatred that is the output of these so-called Christians ;( And no payoff–page after page following your link and it took me some other detours and reading more crap to get to actual reportage of teaching genocide. but OK, I’m convinced. I just made it up. (although I wouldn’t be surprised if other people had made it up before.) Feel free to spread it around but please give me credit. And send money; my bike was just stolen. Like your other related articles, great. Wish there were more people sharing this type of information.